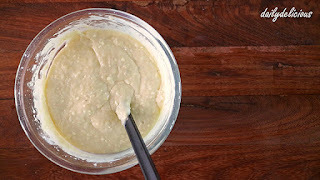 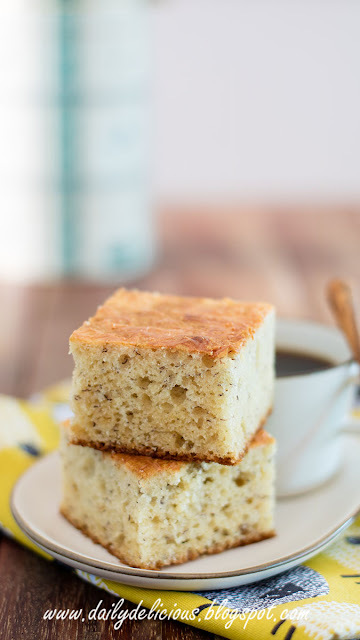 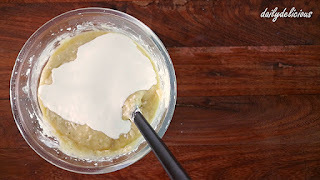 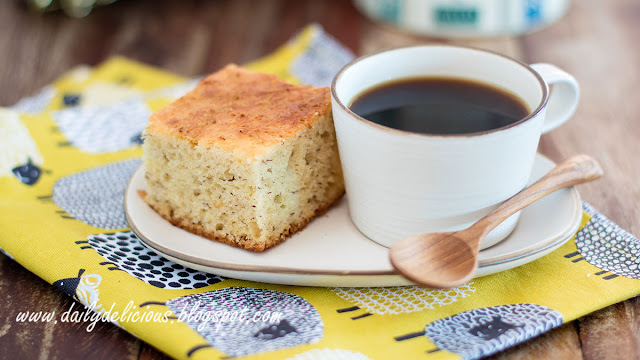 Banana cake is the best way to use overripe banana as the banana will be very sweet, so when you have overripe and darken banana don't throw it away you can turn it to something delicious. 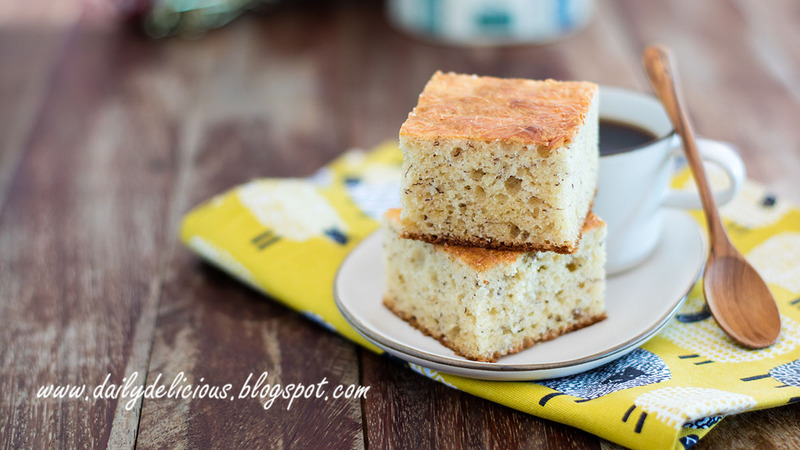 My family love banana cake, and it's one of the cake that I make every often ^^.But I think sometimes, we need some twist in the taste for this delicious cake, and this recipe is the answer. 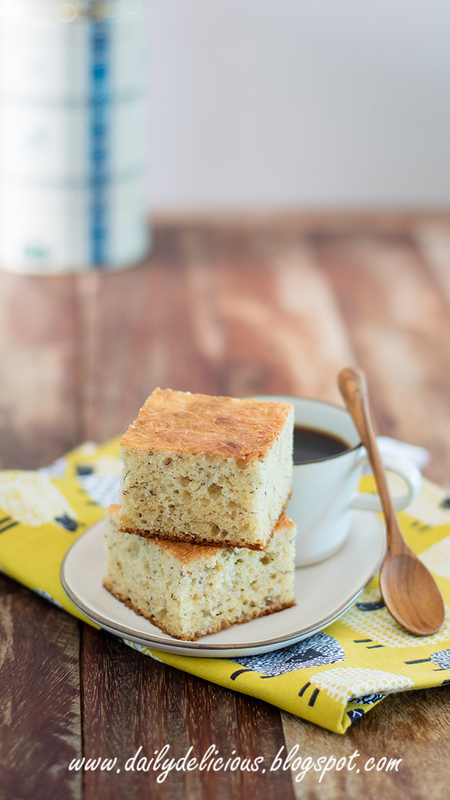 The sweetness of the banana goes well with the saltiness of the cheese and it makes this cake very additive. 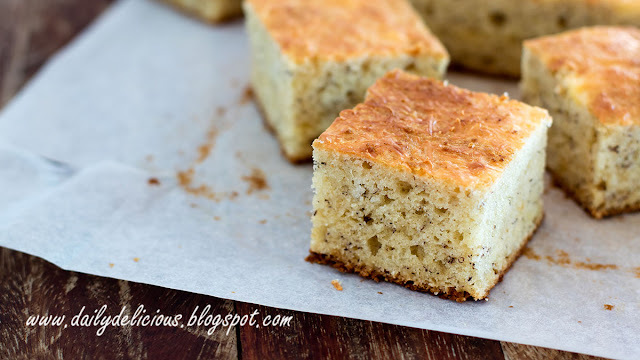 In my opinion, cheddar cheese is the best for this recipe, but it's your cake, you can choose the one that you like. 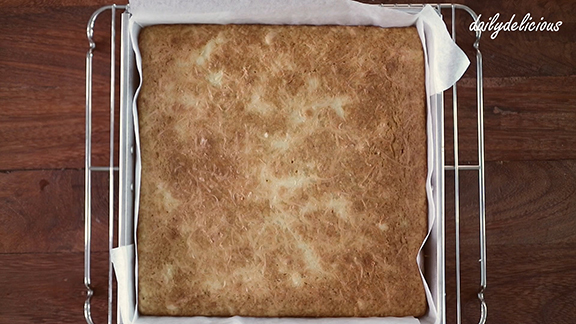 Because my family really love it I make this cake in a large pan but you can half the recipe easily and use 18x18 cm pan instead. Line 25x25 cm pan with baking paper. 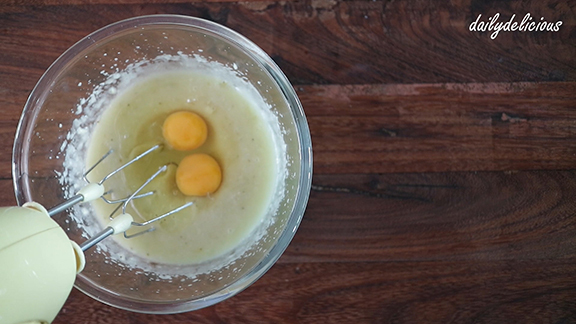 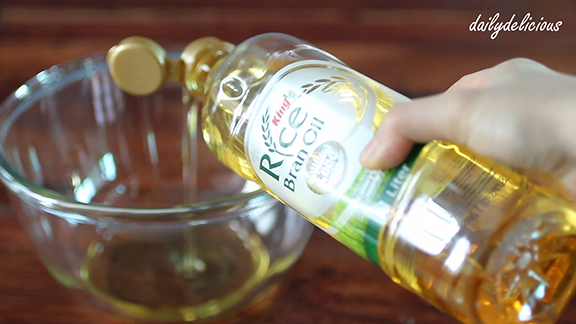 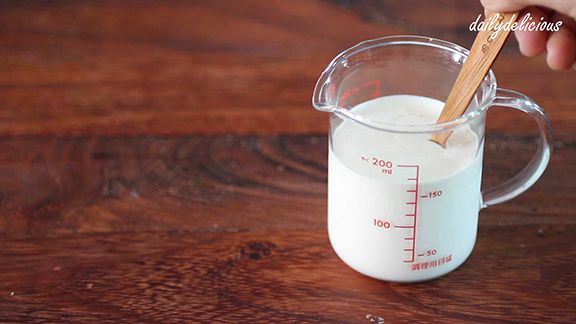 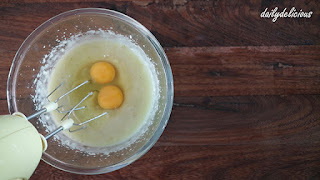 Mix the evaporated milk and vinegar together and let it rest for 15 minutes. 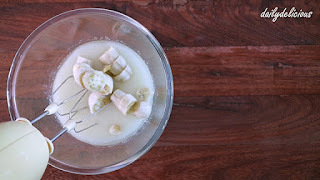 Mix with the sugar until combine and put the banana into the bowl, beat to combine. 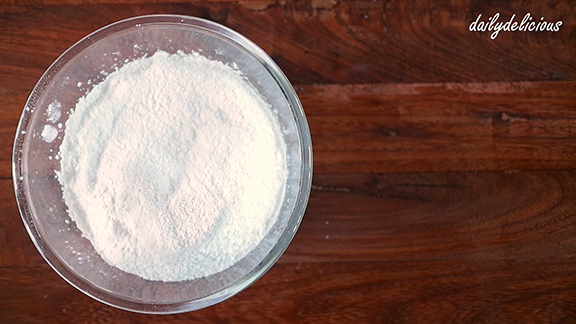 Sift the flour with baking powder, baking soda and salt into the bowl, fold to combine. Pour the evaporated milk mixture into the bowl, fold to combine. Put the cheddar cheese (A) into the bowl. 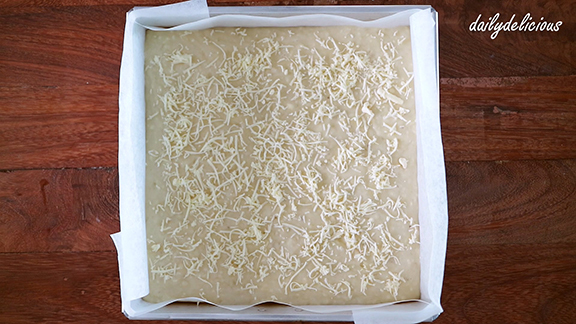 Pour the batter into the prepared pan, smooth the top and sprinkle with the Cheddar cheese (B). 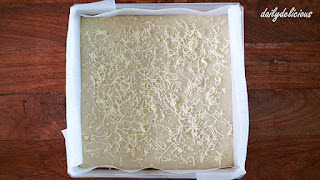 Bake for 30-35 minutes or until the top of the cake spring back when touch lightly.